A heartfelt letter posted on the Leeds United forum WACCOE last night struck so many of the right chords with me, I decided to republish it here. Many thanks to WACCOE user Lebowski for allowing us to do so. I have recently reached the age of 51, I have been watching Leeds United for well over 40 of those years, I am young at heart, fit for my age. However, standing there at Oakwell today with almost 5,000 fellow sufferers watching that pathetic display made me feel every minute of my age. During the time I have watched Leeds I have been extremely lucky to see them win the FA cup at Wembley, be the Champions of England on more than one occasion and buccaneer their way through numerous European campaigns. I was there when we lost to Sunderland in ’73 (My home town at the time, hard to survive that as a LUFC fan) I was there when we lost to Valencia to a Mendietta inspired team, there when we were relegated at West Brom, there when we were relegated at Bolton, there when we went down to the third division at home against Ipswich… the point is, I have seen both Great and Dark days as a Leeds fan and learned to live with both, I have learned to roll with the punches. I have had a season ticket at Elland Road since 1989, before that you just paid your money into the Kop and turned up every week, no season ticket required. I have loved this football club sometimes to the detriment of my career and health. Away game midweek ? **** it I’m going , I’ll catch up on the sleep later. No train back ? **** it I’ll sleep on the station. Whatever it took I would justify it to myself and still go, distance, time, cost, no object. My childhood memories are of me and my late Father enjoying wonderful times watching a wonderful football team. Billy Bremner my hero. I don’t regret a minute of it. And you know what ? I am absolutely one of a huge amount of people who could say exactly the same thing. That is what is so great about our club, people love to knock us, but they would love to be like us and have what we have. But they never will. How many football clubs could command a following like ours ? After so many kicks in the balls ? After so many false dawns ? After so many disappointments ? After so many insults from within and without ? Very, very few. 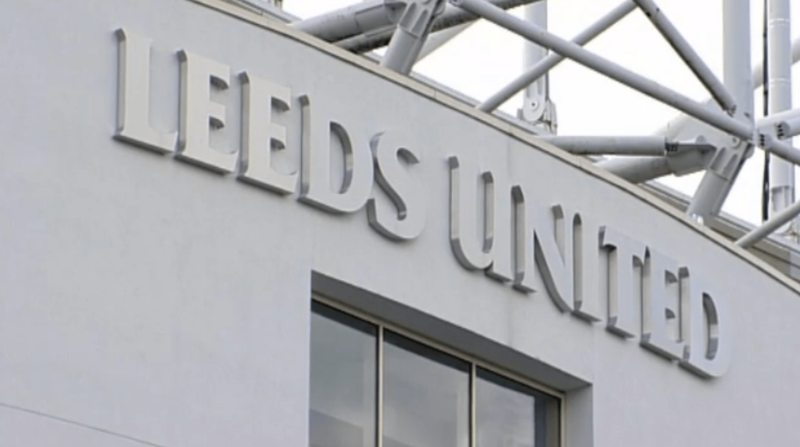 Leeds United truly are one of the few sleeping giants left in world football, our potential has remained untapped due only to a lack of people with integrity, vision and ambition at the top. Leeds United could be one of the major players in Europe, and no I am not deluded, its a fact. When Neil Warnock was appointed manager of our club I was convinced that such an appointment was a step in the right direction , if only because I believed that investment in the team must surely follow. My logic being that why on earth was he going to come otherwise ? Lets face it, it hasn’t worked out, I sympathise with the fact that Neil wasn’t backed like he was led to believe he would be, unfair in anyones book. I listened when Neil said that, at the back end of last season when we were cannon fodder to the mediocre, we weren’t his side, when we got to next season we would see his side, a team to be proud of, never again would we be there for the taking like that rabble, oh No! So, once again this summer the venerable Shaun Harvey presided over yet another disastrous transfer window (we have yet to experience any other type with Shaun in the mix. Lets not mention contract renewals either) you had to sympathise with Neil again, it looked like he had been led up the the garden path, only to meet the ghostly apparition of cigar smoking Jimmy Saville brandishing a big jar of Vaseline. Jingle Jangle. Players like White and McCormack, who he had publicly deemed surplus to requirements, were suddenly talked up as key players in the Warnock Leeds United. Sympathy existed in abundance for Neil, until he stated that he was quite happy with what he had… this was his team. Then we lost 6-1 at home to the mighty Watford and we needed reinforcements, he couldn’t wait for January to arrive, we’d see a new Leeds United, you wait and see. Neil, its January, You have provided a team lacking in pace, power, youth, vibrance, determination, ability, charisma or, not to put too fine a point on it, any form of organisation or a plan. Your selection of Lee Peltier, amongst others, first as a footballer and secondly as a captain has been a cataclysmic error which you have stubbornly compounded by persevering with him. Mine is no knee jerk reaction, YOUR Leeds United has been routinely outplayed by almost every opponent in a division which is generally accepted to be, a poor level of football. Whilst your assistant is touting our best players to the highest bidder you are deflecting attention from yourself by blaming referees and telling us that Becchio’s head is being turned. Neil, its supposed to be your job to unturn it, you and your assistants. Instead we get negativity and double talk, Snake Oil !! The performance today was unacceptable. Just like last season at Barnsley, at least Simon Grayson had the good grace to admit it. When you were walking off the pitch today, no, you didn’t imagine it, those boos were for you. It takes a spectacular failure to turn these fans against you and you have achieved it. From this little corner of Garforth the message is… Neil, thanks, but it is time to go. To Mr Patel and Mr Haigh our club needs a top calibre manager who is capable of a root and branch assessment of our club, someone with a long term plan, which incorporates a vibrant academy and a strong scouting system , not just relying on Ken Bates mate Mr Williams. GFHC, forget this season, plan for the future, starting today. MOT.